Starting from Nov 30th 2017, CSC32 Series have been discontinued. As a possible substitute, please check out the CS8DPT for details. 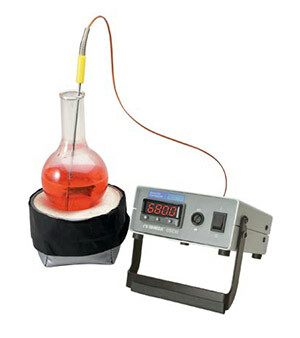 The CSC32 series compact benchtop controllers are ideal for laboratory use and applications requiring portable temperature and process control. Pre-wired input and output receptacles in the rear of the case enable quick and easy connections to power, input, power output and digital communications. These benchtop controllers are factory configured and calibrated for a dedicated input type by model number. The 1/32 DIN CN9500 controller used in this benchtop controller series can be programmed for either On/Off, or PID Autotune Control (with autotune Feature) via the front panel or through the use of a PC and CN9-SW communications software. • Software is capable of logging readings from up to 128 instruments which it stores in data files. • The data can be exported into text files in Comma Separated Variable format. • In addition, up to 12 controllers can be displayed on a single chart, or individual charts can be set up for each instrument. 注: This protocol manual provides the address information necessary to communicate with the CN9300/CN9400/CN9500 and CSC32 Series, with communications options installed, when interacting with custom or other commercially available software.